Summary: Researchers reveal a neuroendocrine system reflex may trigger an increased susceptibility to contracting bacterial infections following injuries to the brain or spinal cord. A newly-discovered reflex arc mediates a process which leads to a disruption in the hormones secreted by the adrenal glands which, in turn, results in an increased susceptibility to bacterial infections. This research breaks new ground in the development of treatments to reduce the incidence of infections, and its results have been published in the current issue of Nature Neuroscience. Injuries to the brain or spinal cord, such as those caused by stroke or trauma, result in a considerable weakening of the immune system. This often leads to severe infections, such as pneumonia or urinary tract infections, which hamper nervous tissue regeneration as well as rehabilitation in affected patients. Until now, our understanding of the exact manner in which nerve tissue damage leads to infections (and which physiological parameters are responsible) has remained rudimentary at best. Under the leadership of PD Dr. Harald Prüß (Charité’s Department of Neurology and the DZNE Berlin) and Prof. Dr. Dr. Jan M. Schwab (Head of Charité’s Department of Traumatic Spinal Cord Injuries), a team of researchers has now succeeded in deciphering this process. The researchers showed that the nervous system uses adrenal hormones as part of an indirect path of communication which results in the rapid breakdown of many immune cells. In a healthy body, the adrenal glands are controlled by both the nervous system and the relevant hormone control centers. Until recently, it had been assumed that a brain injury via hormonal signals results in the adrenal glands secreting cortisol, while a trauma-induced stress response results in the release of adrenaline and noradrenaline. “Our data show that the disruption in the normal function of the adrenal glands is under the direct control of damaged nerve tissue,” explains the neurologist. In contrast to received opinion, trauma-induced spinal cord injury initially resulted in a decrease in stress hormones and an increase in cortisol production. This alteration in hormone levels led to a dramatic decrease in the numbers of many immune cells, particularly affecting the precursors of T-cells and B-cells. In some cases, this resulted in a reduction of between 50 and 80 percent in the size of the spleen, thymus or lymph nodes. While experimental deactivation of the adrenal glands led to a reversal of this dramatic loss of immune cells, the mice treated in this manner remained susceptible to infections. However, an autograft of adrenal tissue, transplanted into these mice, conferred protection against infections. While the transplanted adrenals produce the hormones needed by the body, they are no longer subject to the dysfunctional nervous system control mechanisms which develop following high level spinal injury. Stylized representation of a newly-discovered signaling pathway, which sees the central nervous system use adrenal hormone production to potentially disrupt the immune system in a way that may lead to severe infections. NeuroscienceNews.com image is credited to Harald Prüss. The identification of this two-stage pathological reflex arc – consisting of nerve pathways between the spinal cord and the adrenal glands, as well as a hormone-mediated link with the immune system – helps to deepen our understanding of the interconnections which exist between the nervous and immune system. The discovery of this ‘immune system paralysis’ and its underlying mechanisms represents an important step on the path to improving the treatment of spinal cord injury patients. Rather than merely experiencing the more obvious symptom of motor-sensory paralysis, paraplegic patients also experience a paralysis of the immune system. “Comprehensive analyses of patients’ cortisol and (nor)adrenaline levels have shown that they exhibit a fundamentally similar behavior to that seen in experimental studies,” explains Prof. Schwab. This suggests that treatment aimed at normalizing this neuro-endocrine reflex may prove effective in controlling the sometimes life-threatening infections associated with injuries to the central nervous system. Image Source: NeuroscienceNews.com image is credited to Harald Prüss. 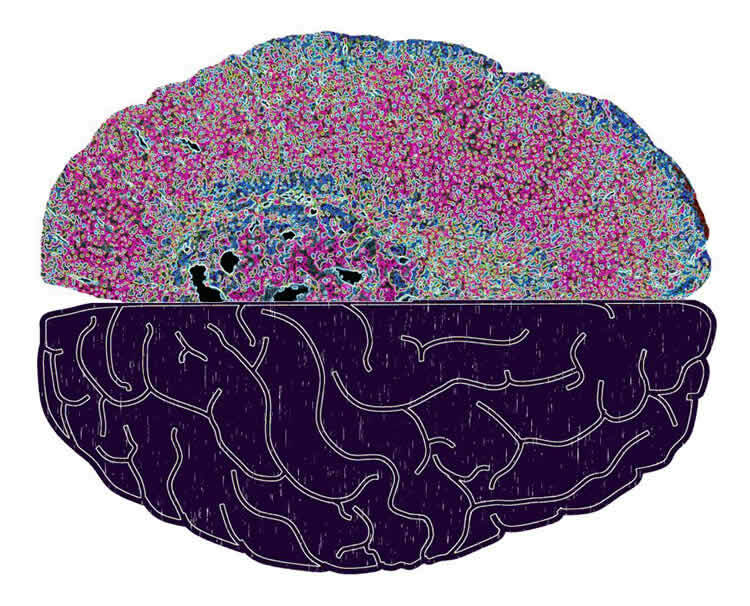 Charité “An Interconnection Between the Nervous and Immune System.” NeuroscienceNews. NeuroscienceNews, 19 September 2017. Charité “An Interconnection Between the Nervous and Immune System.” http://neurosciencenews.com/immune-neuroendocrine-7519/ (accessed September 19, 2017). Acute spinal cord injury (SCI) causes systemic immunosuppression and life-threatening infections, thought to result from noradrenergic overactivation and excess glucocorticoid release via hypothalamus–pituitary–adrenal axis stimulation. Instead of consecutive hypothalamus–pituitary–adrenal axis activation, we report that acute SCI in mice induced suppression of serum norepinephrine and concomitant increase in cortisol, despite suppressed adrenocorticotropic hormone, indicating primary (adrenal) hypercortisolism. This neurogenic effect was more pronounced after high-thoracic level (Th1) SCI disconnecting adrenal gland innervation, compared with low-thoracic level (Th9) SCI. Prophylactic adrenalectomy completely prevented SCI-induced glucocorticoid excess and lymphocyte depletion but did not prevent pneumonia. When adrenalectomized mice were transplanted with denervated adrenal glands to restore physiologic glucocorticoid levels, the animals were completely protected from pneumonia. These findings identify a maladaptive sympathetic-neuroendocrine adrenal reflex mediating immunosuppression after SCI, implying that therapeutic normalization of the glucocorticoid and catecholamine imbalance in SCI patients could be a strategy to prevent detrimental infections.